Apologies for the recent spate of martial art based posts, but sometimes things come in waves. 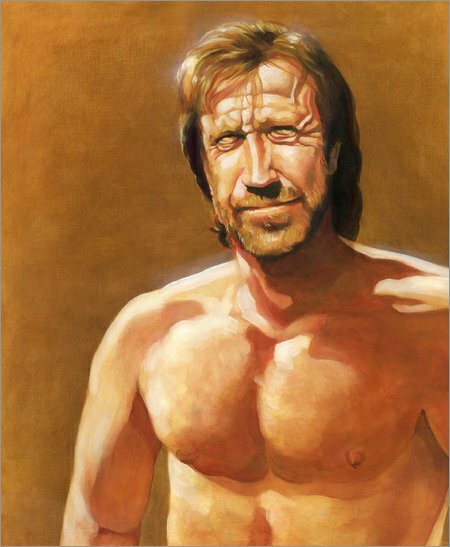 Spreading around the web like the proverbial wildfire is an excellent trailer (fan made or not - who knows) for a spoof comedy called the legend of Chuck Norris. Filmed in storyboard animation the film tells the “real story” of the karate star, and is just one of those things you have to see. I recommend anyone who has a passing interest in the history of action films has a quick watch., it’s bound to make you laugh. If only this were only true, oh my what a film that could be. Some of the bigger internet film sites have suggested that it may be thrown to together to entice a real production. Although I doubt this to be happening for real, I certainly would love to see the sister program Van Damme; A legacy in spin kicks. For the love of all things Norris please please click here.